Efficient solution for supply and exhaust ventilation of separate spaces. Electric pre-heater or re-heater modification available for cold climate conditions. Heat exchanger with an enthalpy membrane modification available for humid and hot climate conditions. Supply air purification ensured with two built-in G4 and F8 filters (optional H13, F8 Carbon). Excellent noise control (25-38 dBA). Control with the mobile application Android / IOS. Polymer coated metal casing decorated with an acrylic front panel. Thanks to the modern design the unit can seamlessly blend with most interior design. Heat and sound insulation is provided with 10 mm cellular synthetic rubber layer. The front panel ensures convenient access for filter maintenance and has a lock for extra security. The unit has two ø 100 mm inlet and outlet spigots for fresh air intake and stale air extraction outside. 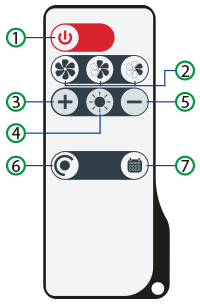 The third ø 100 mm spigot (included) can be additionally fitted to the unit to connect an exhaust air duct from the bathroom. The units feature efficient electronically commutated (ЕС) motors with external rotor and impellers with forward curved blades. The state-of-the-art motor design offers the very best energy efficiency performance. EC motors are distinguished with high performance and totally controllable speed range. In addition to that the efficiency of electronically commutated motors reaches very impressive levels of up to 90 %. The unit is equipped with supply and exhaust air dampers, which activate automatically to prevent drafts while the unit is off. Operation in a cold climate may result in condensate freezing in the exhaust air duct and the external hood. Therefore, it is recommended to install the NE MICRA 100 heater (purchased separately) to prevent icing. G4 and F8 panel filters provide supply air filtration (PM2.5 > 75 %). To meet more stringent air purity requirements a F8 filter can be replaced with an H13 (PM2.5 > 95 %) or F8 Carbon (purchased separately). G4 panel filter provides extract air filtration. 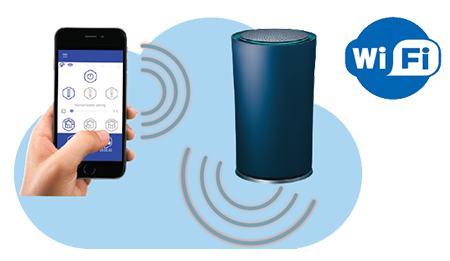 MICRA 100 E WiFi, MICRA 100 E2 WiFi units are equipped with an electric pre-heater for freeze protection of the heat exchanger. MICRA 100 E1 WiFi, MICRA 100 E2 WiFi units feature an electric re-heater to raise the supply air temperature as necessary. 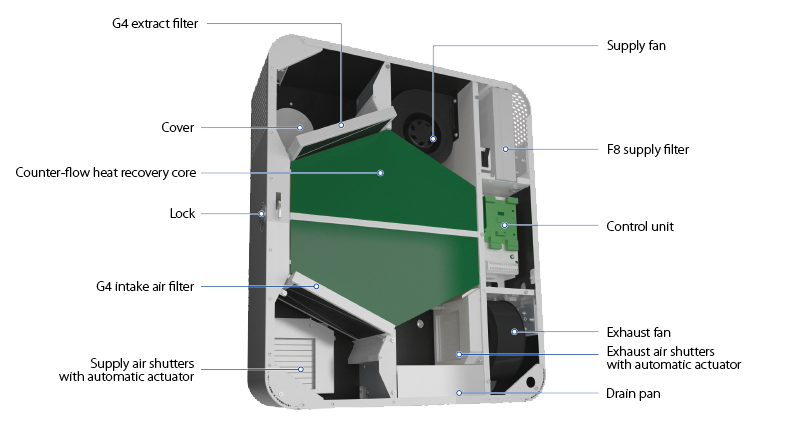 MICRA 100 WiFi units are equipped with a counter-flow heat exchanger with a polystyrene core. In the cold season the extract air heat is captured and transferred to the supply air stream, which reduces the ventilation-generated heat losses. However, this process may be associated with condensation, which is collected in a special drain pan and evacuated outside via the exhaust air duct. 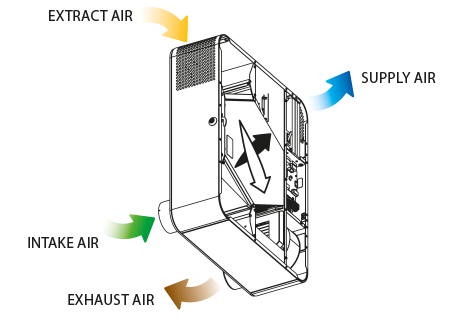 In the warm season the ambient air heat is transferred to the exhaust air stream. This allows for a considerable reduction of the supply air temperature, which reduces operation load for the air conditioners. MICRA 100 ERV WiFi units are equipped with a counter-flow heat exchanger with an enthalpy membrane. 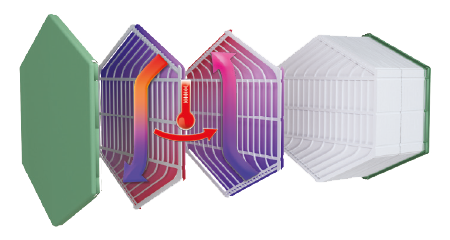 Consequently, the heat and moisture of the ambient air is transferred to the exhaust air stream through the enthalpy membrane in the warm season. This allows for a considerable reduction of the supply air temperature and humidity, which reduces operation load for the air conditioners. 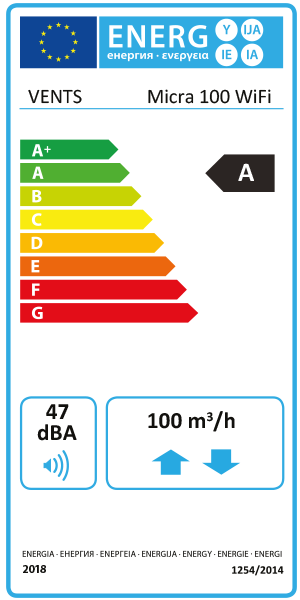 MICRA 100 (ERV) WiFi features an exhaust air temperature sensor downstream of the heat exchanger, which disables the supply fan to let the warm extract air warm up the heat exchanger. After that the supply fan turns on and the unit reverts to the normal operation mode. Overheating protection for MICRA 100 E WiFi and MICRA 100 E2 WiFi is implemented with a pre-heater. 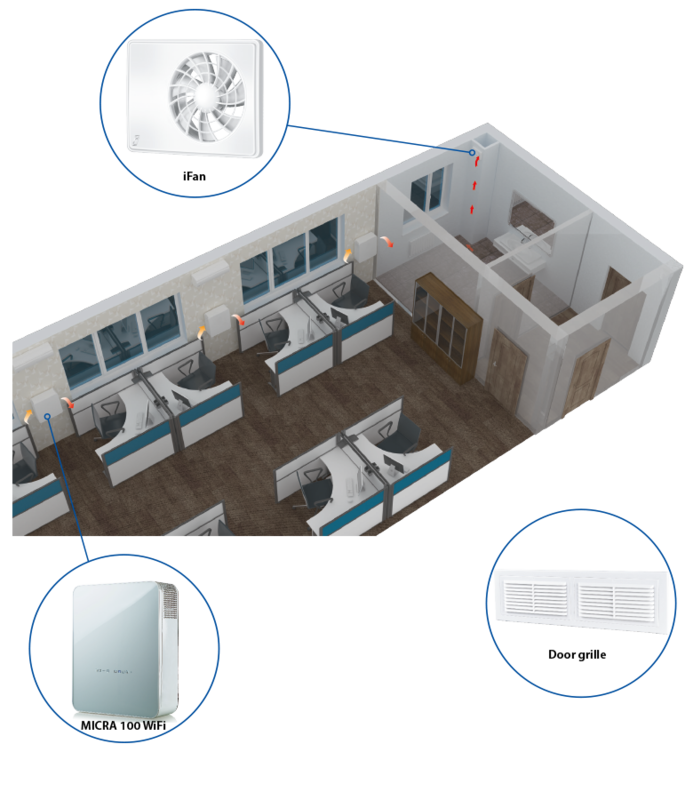 Each space requiring ventilation is equipped with one or several MICRA 100 WiFi units. 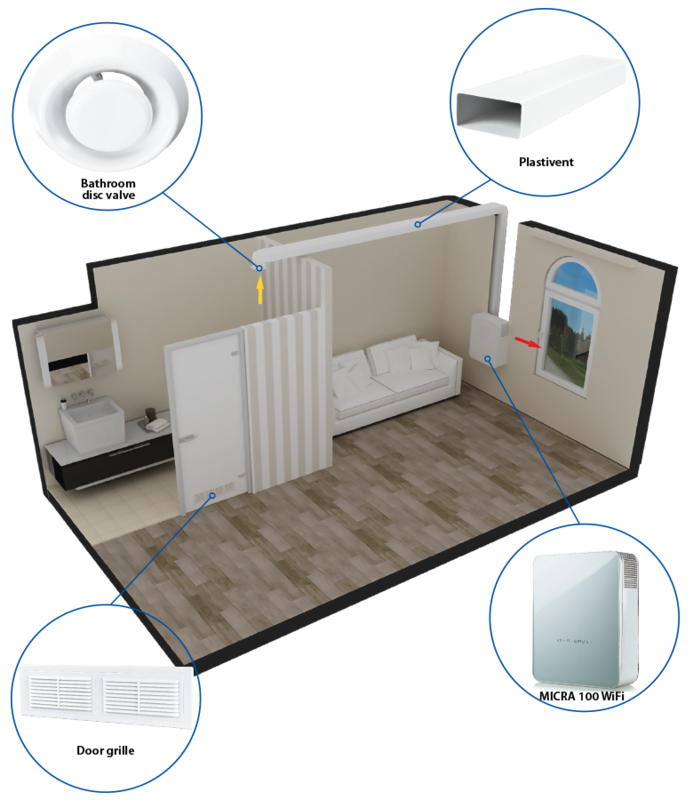 MICRA 100 WiFi units can be upgraded with a bathroom exhaust air duct. To enable such a configuration the units can be additionally equipped with the optional ø 100 mm spigot (supplied as standard).